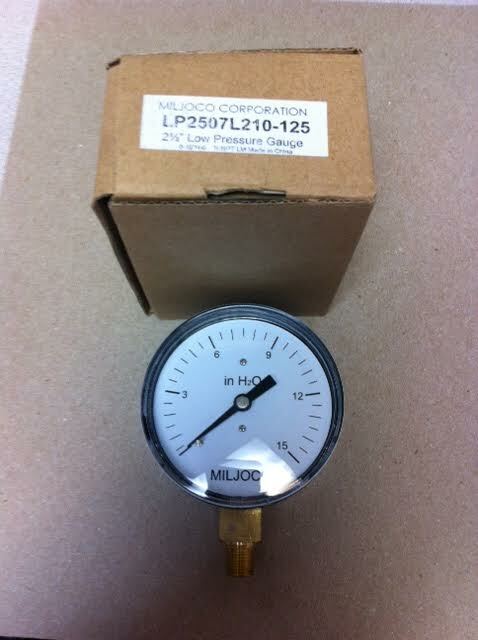 0-15" Water Column Low Pressure Gauge. withe 1/4" NPT male fitting. Connect to kiln gas line, or to low pressure regulator. Pressure Gauge, 0 To 15 h2o, 2-1/2in, 1/4in.